The ideal t-shirt to go bags make a stellar delivery packaging, owed to their custom printing permit as well as a cardboard gusset attachment beneath to give the bag a certain level of structural stability. Do you find it difficult to deliver orders from your business? Do you believe there can be a better solution for your items? 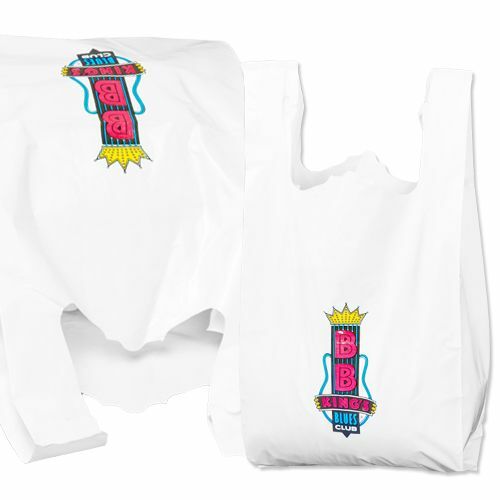 There certainly is, as these ideal t-shirt to go bags ensure that you can easily deliver items while decreasing your costs. This excellent to go bag is cost-effective but able to get the job done. 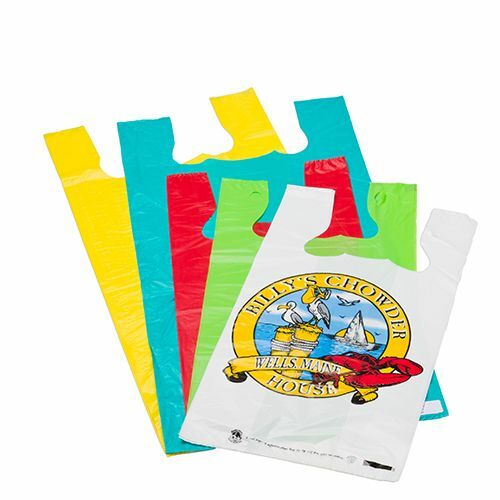 These side gusseted bags are well-suited to provide functionality and their strong handles let you keep heavy items as well. 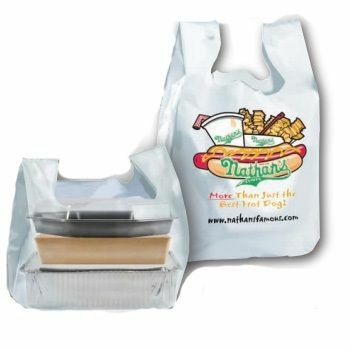 These bags are fully recyclable and are available here in multiple sizes. Choose the size that works perfectly for your needs. Strong strap handles and expandable side gussets accomodate multi food containers. 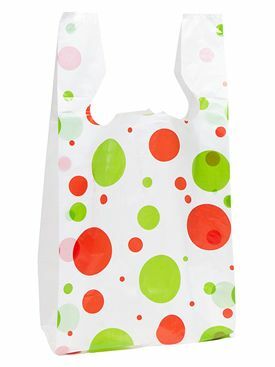 We can imprint your business name, logo or design in up to 6 colors on t-shirt bags. It's the most cost effective advertising you can do. If we don't stock the size you need, we will have it custom made for you.